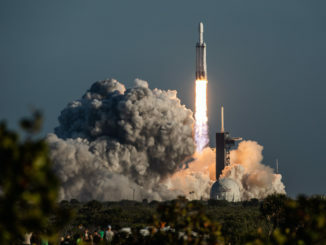 The satellites climbed into space at the top of a Long March 3B rocket, which lifted off from the Xichang space center in southwest China’s Sichuan province at 1407 GMT (10:07 a.m. EDT), according to the China Academy of Launch Vehicle Technology, or CALT, the state-owned builder of most of the country’s launchers. 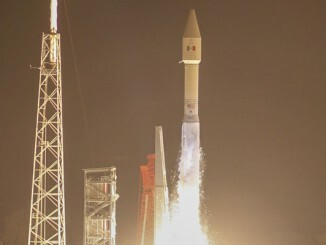 Liftoff occurred at 10:07 p.m. Beijing time. The Long March 3B headed southeast from the Xichang spaceport, dropped its four liquid-fueled strap-on boosters and core stage, and its second and third stage engines fired to deploy a Yuanzheng upper stage, which carried the twin Beidou navigation satellites toward a near-circular orbit averaging more than 13,500 miles (21,700 kilometers) above Earth, according to U.S. military tracking data. 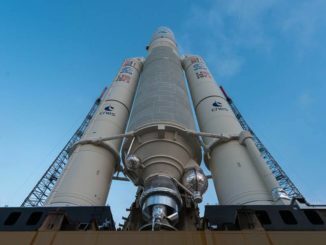 The upper stage released the Beidou satellites around four hours after launch, and officials declared the launch a success, according to a CALT statement. The satellites launched Wednesday were the 12th and 13th Beidou spacecraft delivered to orbit this year, and they are the first Beidou satellites to carry equipment meeting international search-and-rescue standards. 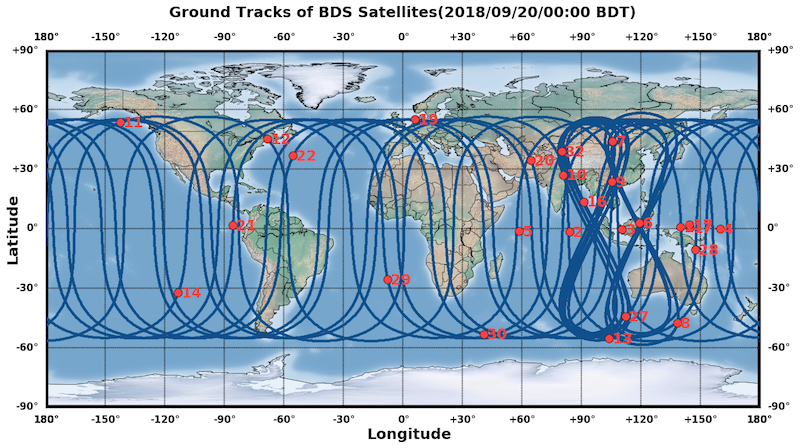 A receiver on each satellite will listen for distress signals, joining spacecraft from other countries that host similar search-and-rescue payloads, according to the Beidou program’s official government website. 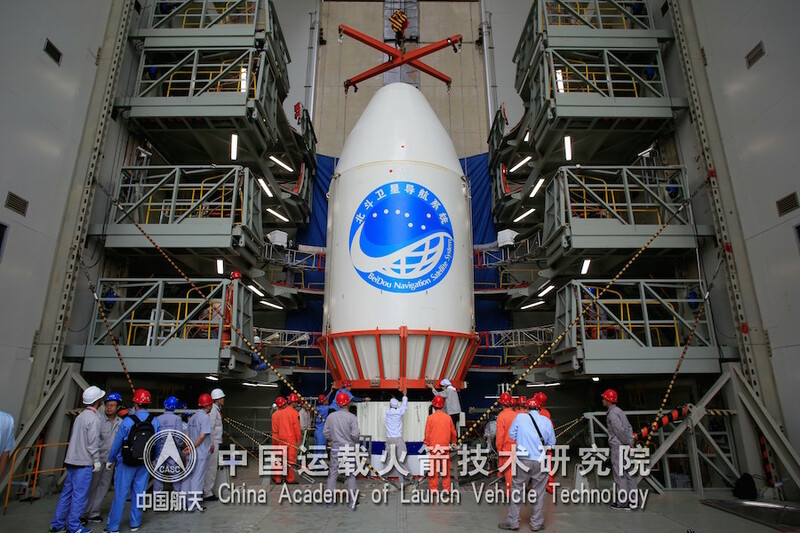 At least two more Chinese launches with Beidou navigation payloads are scheduled before the end of the year, according to the Beidou program’s website, maintaining a streak of rocket flights lofting the satellites two-at-a-time. Wednesday’s Long March 3B was the 25th space launch of the year from China, which has launched more space missions than any other nation so far in 2018. The Beidou system is named for the Chinese work for the Big Dipper constellation. The Chinese government developed the network as an independent analog to the U.S. military’s Global Positioning System, along with the worldwide navigation constellation operated by the Russian military, and Europe’s Galileo fleet, which aims to have global reach around 2020. The Beidou satellites began launching in 2000, and China has launched upgraded versions of Beidou spacecraft over the last 18 years. With Wednesday’s launch, 14 Beidou satellites belonging to the latest, or third, generation are now in orbit. By the end of the year, the Beidou network will have enough third-generation, or Beidou 3, satellites to provide positioning and timing coverage over countries that are part of China “Belt and Road” foreign policy and economic development initiative. 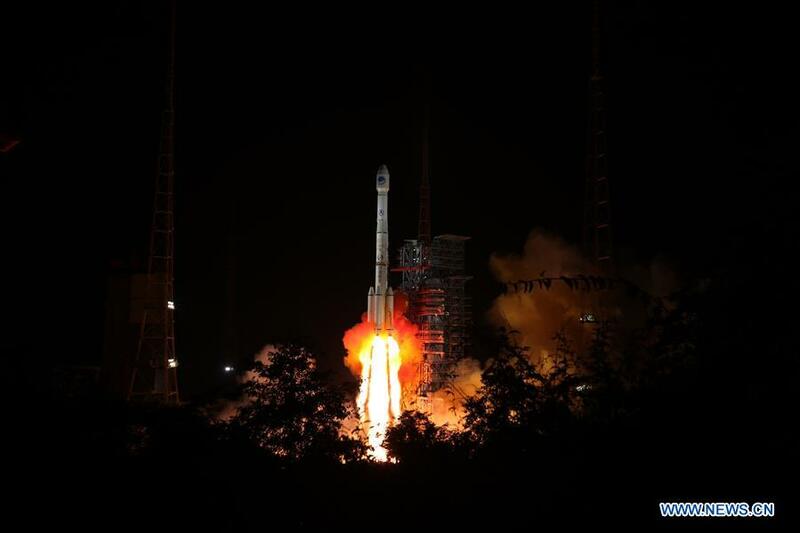 When fully deployed, the Beidou fleet will consist of 35 satellites, including 27 spacecraft in Medium Earth Orbit, the destination for the payloads launched Wednesday. Eight additional satellites will make up the Beidou constellation in geostationary orbit more than 22,000 miles (nearly 36,000 kilometers) above Earth, including five parked over the equator and three others in inclined orbits that swing between 55 degrees north and south latitude.